You are a 40 year old female who is 5 feet 5 inches tall and weighs 150 lbs while being Sedentary. 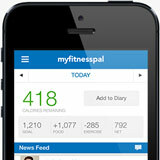 1,622 calories per day based on the Mifflin-St Jeor Formula, which is widely known to be the most accurate. The table below shows the difference if you were to have selected a different activity level. Your ideal body weight is estimated to be between 125-132 lbs based on the various formulas listed below. These formulas are based on your height and represent averages so don't take them too seriously, especially if you lift weights. Tip! 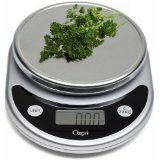 People who weigh their food with a food scale lose significantly more weight versus people who don't. These macronutrient values reflect your maintenance calories of 1,622 calories per day. These macronutrient values reflect your cutting calories of 1,122 calories per day, which is a 500 calorie per day deficit from your maintenance of 1,622 calories per day. These macronutrient values reflect your bulking calories of 2,122 calories per day, which is +500 calories per day from your maintenance of 1,622 calories per day. There are 4 calories per gram of both protein and carbohydrates, and 9 calories per gram of fats. 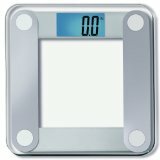 You'll need a bathroom scale to periodically weigh yourself so you can track your results. I was skeptical at first, but the Fitbit is a fantastic tool to passively help you determine your real-world TDEE. It's not perfect, but it's extremely close and the features of it are great (pedometer, heart rate monitor, sleep tracker, vibrating alarm clock). Scientists keep screaming it. Keep your Omega 3 – Omega 6 ratios balanced, as an imbalance is proven to cause inflammation, and inflammation is proven to lead to disease. The typical western diet gets tons of Omega 6 already (I've heard as high as 16:1! 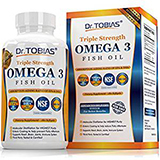 ), so it's generally recommended that most people take a fish oil supplement. Check out this high quality Omega-3. Note: Fish oil pills do go rotten, so if you have some at home, cut one open and smell it. If it smells bad, then it's spoiled and do not eat it. Only take fresh fish oil pills. Fish oil supplements are fat soluble. Vitamin-D is the most important vitamin that the majority of people are deficient in. It's present in very few foods and most people aren't in the sun enough to satisfy the amount of Vitamin-D they need, especially in the winter. 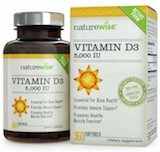 Check out this 5,000 IU Vitamin-D supplement on Amazon (1 year supply). Note: Vitamin-D is a fat soluble vitamin so eat some healthy fats with it (I like olive oil, which is very high in Omega 6 so you'll need that fish oil supplement). TDEECalculator.net is a participant in the Amazon Services LLC Associates Program, an affiliate advertising program designed to provide a means for sites to earn advertising fees by advertising and linking to Amazon.com.